The semi-official Fars news agency reported the statement by Iran’s National Security Council on Monday. It followed the U.S. announcement that it has designated Iran’s Revolutionary Guard as a foreign terrorist organization. The statement from the council came after Iran’s foreign minister said he wants to include the Middle East-based U.S. military forces on his country’s “terrorist groups” list. Israel has long considered the Islamic Republic of Iran to be its greatest foe, citing its leaders’ hostile rhetoric, suspect nuclear program, development of long-range missiles and support for anti-Israeli militant groups such as Hezbollah. Iran’s foreign minister wants to include Middle East-based U.S. military forces the country’s “terrorist groups” list. In a reciprocal move after the U.S. announced it has designated Iran’s Revolutionary Guard a “foreign terrorist organization,” Iran’s foreign Minister Mohammad Javad Zarif made the demand in a letter to President Hassan Rouhani, according to the official IRNA news agency. Zarif also sent a protest note over the U.S. decision to the Swiss embassy in Tehran, which looks after the U.S. interests in Iran. The U.S. made the designation Monday to increase international pressure on Iran. President Donald Trump says the U.S. has designated Iran’s Revolutionary Guard a “foreign terrorist organization” as part of an effort to increase international pressure on the country. It’s an unprecedented move because the U.S. has never before used the designation for an entire foreign government entity. Trump said in a statement Monday that the move “recognizes the reality” that Iran is a state-sponsored supporter of terrorism and that the Guard is an active participant. Administration officials have said the step will further isolate Iran and make clear that the U.S. won’t tolerate Iran’s continued support for rebel groups and others that destabilize the Middle East. But the designation may also have widespread implications for American personnel and policy in the region and elsewhere as Iran has threatened to retaliate. 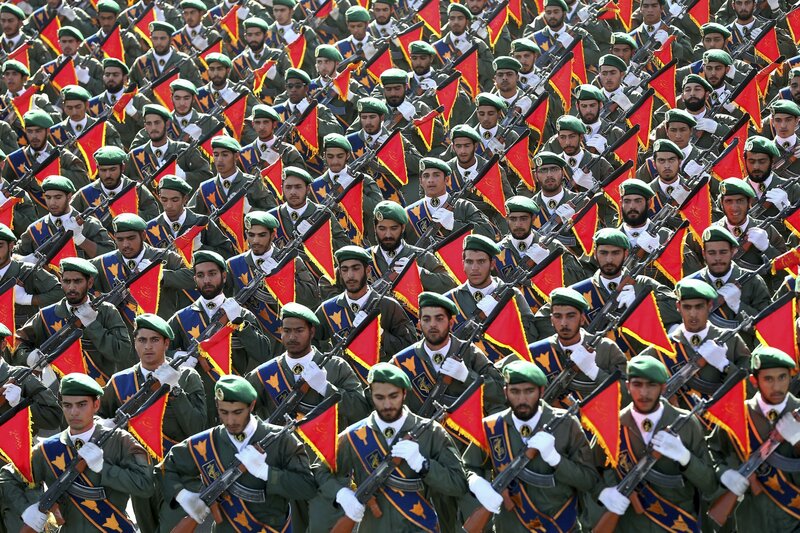 The Trump administration is planning to designate Iran’s Revolutionary Guard a “foreign terrorist organization” in an unprecedented step to ramp up pressure on Tehran. U.S. officials say an announcement could come as early as Monday and the move could have widespread implications for U.S. personnel and policy in the Middle East and elsewhere. The Trump administration has escalated rhetoric against Iran for months, but this will mark the first such designation by any American administration of an entire foreign government entity. Two U.S. officials and a congressional aide confirmed the planned move and spoke on condition of anonymity as they were not authorized to discuss the matter publicly.